Sara has been released from the hospital and her and Jon are temporarily living in an air b&b nearby UC Davis medical center where they are receiving physical therapy and in home care regularly. They are getting stronger everyday. Together they have begun grieving the loss of their two beautiful children and have made plans for services to honor them. Family members are with them everyday to help with physical and emotional care. Thank you all for the tremendous support you have shown our family in this time of great tragedy. You are the ones who have made it possible for the Shepherd family to be together and continue to hold one another up. Please continue to keep the Shepherd family in your thoughts and prayers. Sara and Jon both continue to make progress on their long road to recovering physically. Jon is out of the hospital but staying close by to visit Sara daily in the hospital. Family and friends are with them helping anyway they can. Jon is doing routine physical therapy. Sara will need 1 more surgery. They are both aware of the passing of their 2 angels. They have started the emotional healing process that is devastating to go thru as parents. They need our continued love, prayers and support. Jon and Sara continue to improve day by day. They are starting to communicate with family and medical staff. They are trying to move Jon to be with Sara in the Sacramento area. They have a long road ahead of them. Please continue to keep the family in your hearts, prayers and support them during this time. It is with a heavy heart to announce the passing of Kressa Jean Shepherd yesterday evening. She is no longer in pain and is with her brother Kai in heaven. Please keep the Shepherd Family in your prayers. My Name is Jay Macedo and I am located in Costa Mesa, California. Sweet Kressa has the most critical burns listed at greater than 60 percent- her condition has required a minimum of 4 surgeries thus far that have included multiple grafts and the amputation of both legs below the knee. She is the strongest person I have met in life and continues to prove it each day! Sara is extremely critical with burns listed at 60 percent or greater with multiple areas of 3rd degree (full thickness). Unbelievable strength and will to live! Jon is critical listed now with burns on 30 percent of his body- 3rd degree to many areas of his body. Please keep them in your prayers and share. On Monday 10-09-2017 my cousin Jonathon Shepherd's family was devasted by the fires up north. They live in the Redwood Valley area. There was little time to evacuate. They contacted family at 1:00 am saying they were getting in their car and heading down their mile long driveway. When their car caught fire his family ran to escape the fire. Their 14 year old son Kai passed away in the fire. 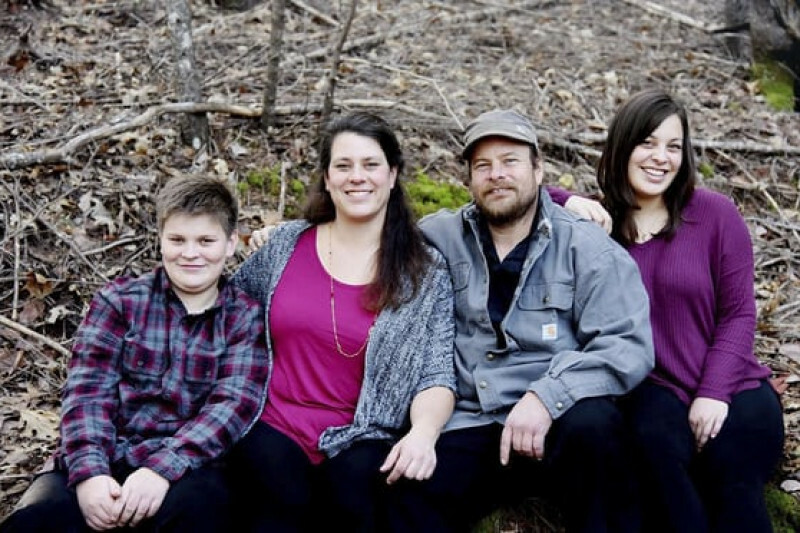 Jonathon (45), his wife Sara,(40) and their daughter Kressa (17) are in serious condition in 3 different hospital intensive care units with very severe burns. Jonathan is in a coma and we do not know how much he remembers or aware of the condition of his family and the loss of his son. We ask for prayer, dontations, and to keep them in your hearts during this time of tragety. It is heart breaking what his family has gone thru and what they face in the coming hours, days, years. They will have the cost of a service, medical bills, housing and travel for family, and other expenses related to long term recovery. Please take the time to dontate and SHARE this page. We are reaching out to give them our love, prayers, and financial support. A year has passed since the Redwood Complex fire that took the lives of our beautiful Kressa and Kai. In the past weeks the family has participated in a few ceremonies honoring the lives lost. A candlelight vigil was held, an art exhibition featuring Kressa’s last unfinished art piece as well as a mosaic mirror by Sara made from shards of things recovered from the ashes of their home. There were many artists works made from or inspired by the October 2017 fire. A huge collaborative mosaic was unveiled in the heart of Redwood Valley that Sara also helped to create. We are learning how this fire has effected this small community and forever scared us all. Many homes are being rebuilt and others are being put up for sale but one thing is for sure our family and this community will continue to hold each other up. These past few weeks have been difficult but the family has found new strength and will continue to stand by Jon and Sara’s side. I am happy to announce Jon and Sara have purchased a new home; not in Redwood Valley but in the nearby town of Ukiah. Now close to family and friends again they have begun to rebuild a life together as husband and wife. They have put the property where they once lived on the market as neither has any desire to live there again. Jon and Sara have only recently returned to walk the land they once called home and though it was met first with great sadness and severe PTSD; they have been able to overcome their anxiety and fear and now think of visiting there as a healing experience. They also have begun to speak out about their experiences and also listen to other stories about what happened that night. I believe a very important healing process has begun. I (Jon’s sister Lisa) have been working hard to make this new house feel like a home by building and refinishing furniture pieces. I want them to be comfortable and be able to live in a beautiful home again. This is what I can do for them though I wish I could do more. I wish I could take away their pain and sadness, but like Sara said “we just have to put one foot in front of the other and live in their honor” Please continue to keep the Shepherd family in your thoughts and prayers as they embark on this next journey. Thank you all from the bottom of our hearts for your support. Much love from all of us in Northern California. From Lisa Shepherd, Jonathon's sister who has been with them. Words could never express the gratitude our family has for all who have shown their support during this very difficult tragic and life changing time. We are overwhelmed by the outpouring of love, thoughts, prayers and support shown by complete strangers. Our family will be forever grateful to all of you. Please continue to keep the Shepherd family in your thoughts and prayers.